The Build consisted of a 13,000 M2 of panels for the freezer 11.5 meters high and a separate Chill store 14,000 M2 panels 9mtrs high. Due to height restrictions in the ceiling void, we had to construct under valley passes where the chill ceiling met a valley in the external roof. These were constructed to allow a safe unrestricted walkway from one end of the chill to another. This meant designing an inverted turret section within the ceiling that was capable of supporting the main surrounding ceiling. The RDC and associated facilities comprise of 71,000 m2 of floor space on a site of 59 acres. 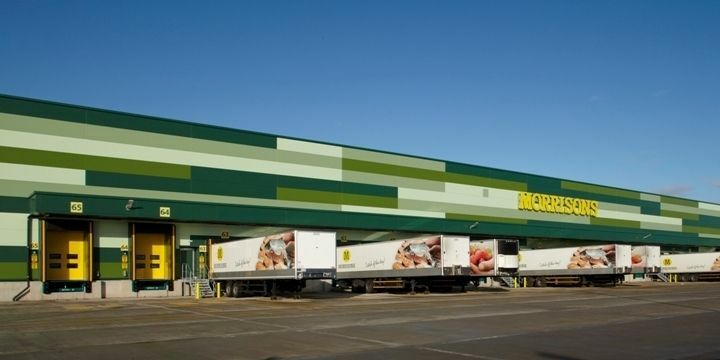 The new Regional Distribution Centre located at Morrisons, Bridgwater includes ambient, chilled and frozen warehousing along with a Goods-In building. Also on site are a fuel filling station, vehicle wash, two gatehouses and a driver’s check-in building.